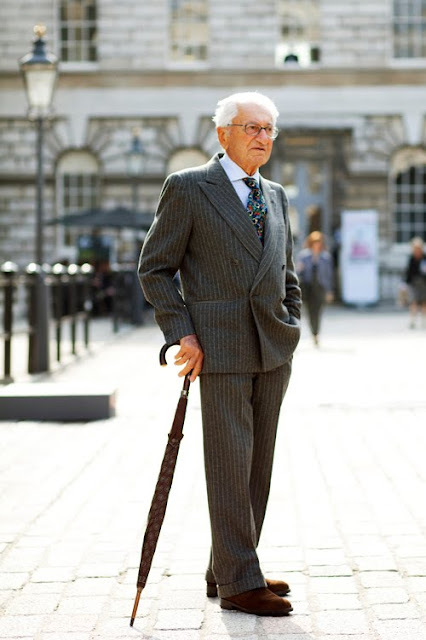 I love to see older men, or gentlemen I should say, that dress with style. 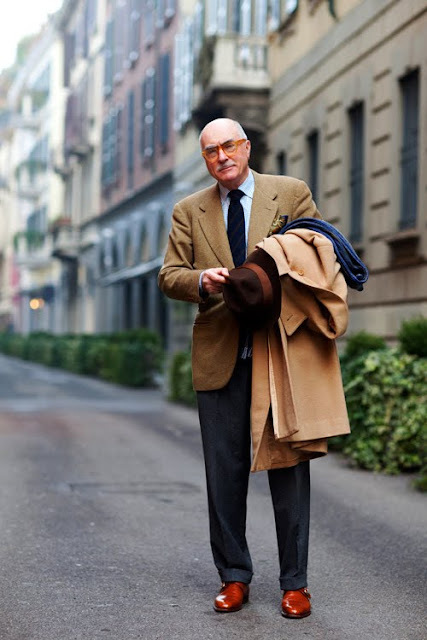 A well tailored, well layered suit on an older man gives an air of such sophistication and wisdom. 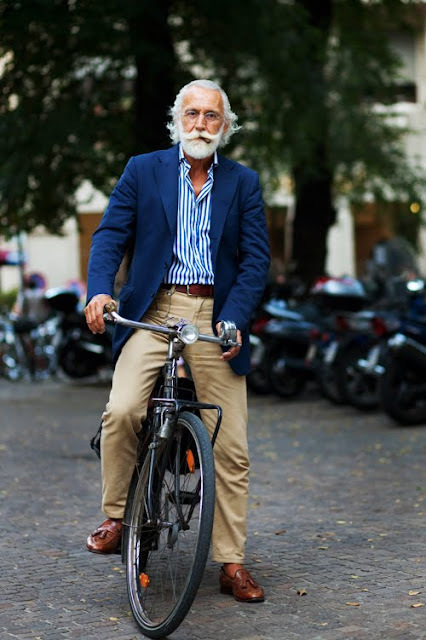 These are not your average frumpy ol' grandpa clothes!